Just a reminder that there will be lunar eclipse tonight. The so-called `blood Moon’ will be visible across Ireland and the United Kingdom (as well as much of the rest of world tonight) although there is rain forecast, and its very overcast as I write this, so it’s possible that all I from Maynooth will see is clouds. That’s a shame as this will be the longest total lunar eclipse of the 21st century, lasting one hour, 42 minutes and 57 seconds. Observers in Ireland will not be able to see the start of the eclipse as the moon will still be below the horizon when the Earth passes between the Sun and the Moon. However, in the Dublin area it will be seen (clouds permitting) from 9.30pm to 10.15pm low in the sky to the South East. Then from 10.15pm to 11.20pm, the moon will be seen coming out of Earth’s shadow. The partial eclipse will last around four hours. Oh, and you should be able to see Mars which will be very bright tonight, down a bit and to the left from the Moon. 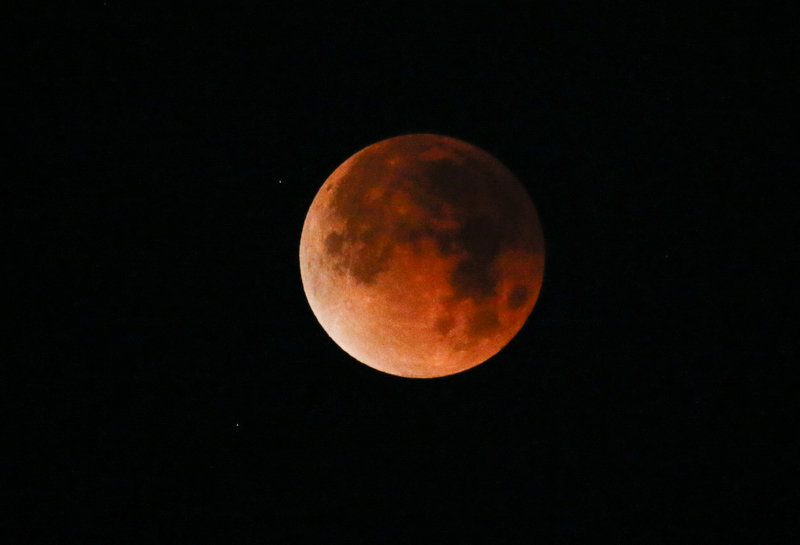 The photograph above is of a lunar eclipse taken earlier this year, on 31st January. Lunar eclipses tend to be seen in pairs, like low comedians. A source of high-energy neutrinos! Before I go for a lie down here is a video that goes with the discovery of the first astrophysical source of high-energy neutrinos! Previous detections of individual astrophysical sources of neutrinos are limited to the Sun and the supernova 1987A, whereas the origins of the diffuse flux of high-energy cosmic neutrinos remain unidentified. On 22 September 2017, we detected a high-energy neutrino, IceCube-170922A, with an energy of ~290 TeV. Its arrival direction was consistent with the location of a known γ-ray blazar, TXS 0506+056, observed to be in a flaring state. An extensive multi-wavelength campaign followed, ranging from radio frequencies to γ-rays. These observations characterize the variability and energetics of the blazar and include the detection of TXS 0506+056 in very-high-energy γ-rays. This observation of a neutrino in spatial coincidence with a γ-ray–emitting blazar during an active phase suggests that blazars may be a source of high-energy neutrino. A little bird tweeted at me this morning that today is the 20th anniversary of first light through the Sloan Telescope (funded by the Alfred P. Sloan Foundation) which has, for the past two decades, been surveying as much of the sky as it can from its location in New Mexico (about 25% altogether): the Sloan Digital Sky Survey is now on its 14th data release. For those of you who want the optical details, the Sloan Telescope is a 2.5-m f/5 modified Ritchey-Chrétien altitude-azimuth telescope located at Apache Point Observatory, in south east New Mexico (Latitude 32° 46′ 49.30″ N, Longitude 105° 49′ 13.50″ W, Elevation 2788m). A 1.08 m secondary mirror and two corrector lenses result in a 3° distortion-free field of view. 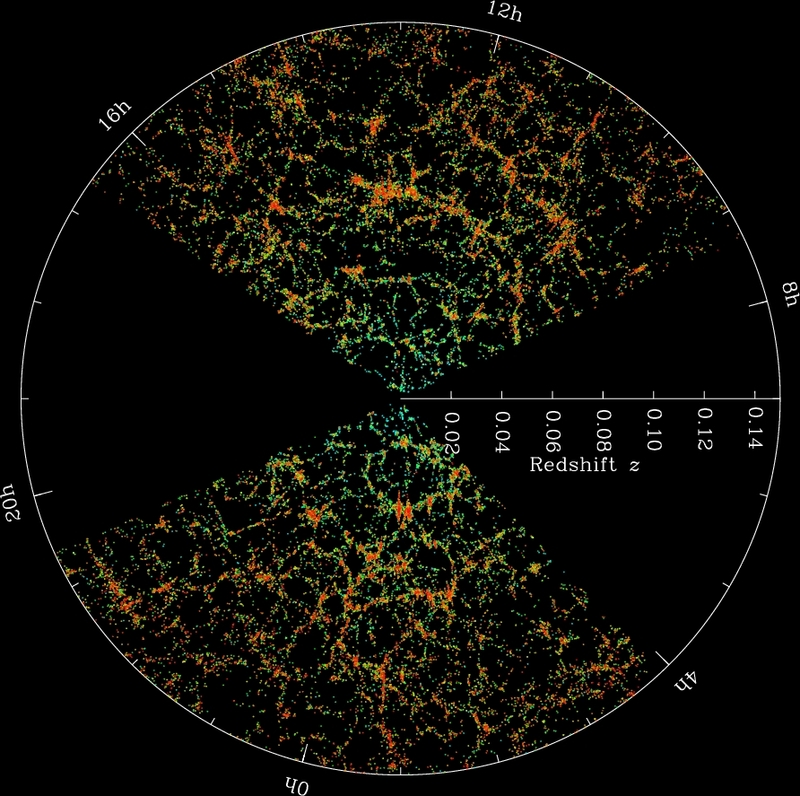 The telescope is described in detail in a paper by Gunn et al. (2006). 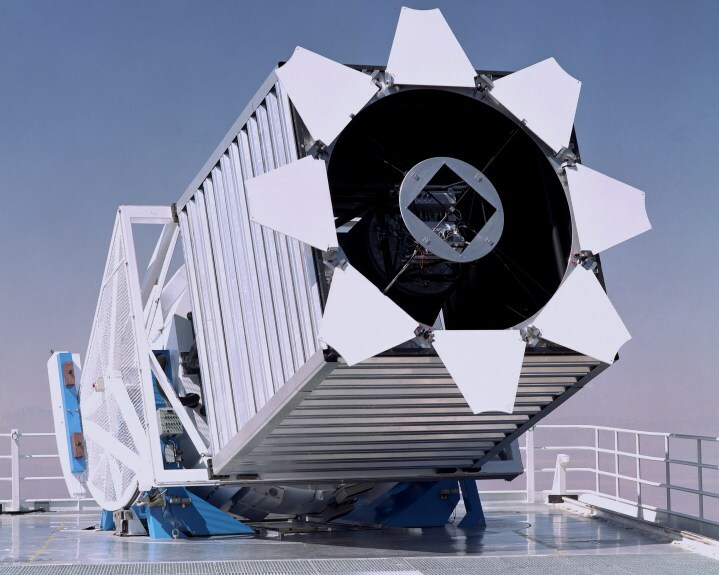 A 2.5m telescope of modest size by the standards of modern astronomical research, but the real assets of the Sloan telescope is a giant mosaic camera, highly efficient instruments and a big investment in the software required to generate and curate the huge data sets it creates. 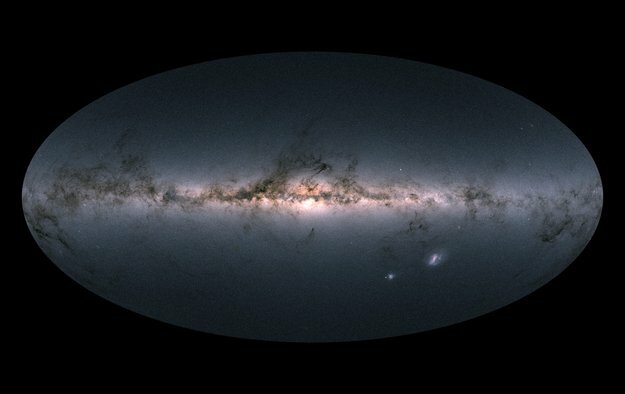 A key feature of SDSS is that its data sets are publicly available and, as such, they have been used in countless studies by a huge fraction of the astronomical community. 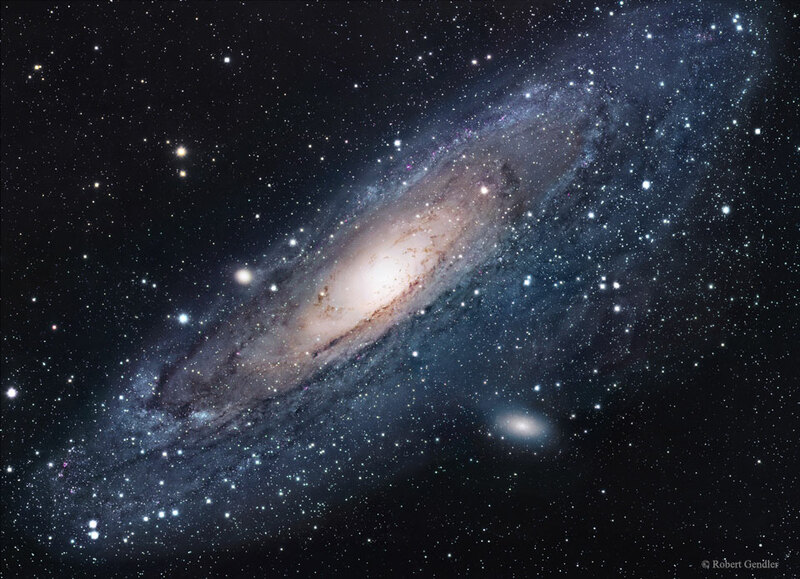 As it has been updated and modernised, the Sloan Telescope has been involved in a range of other surveys aimed at uncovering different aspects of the universe around us, including several programmes still ongoing.